Since the ability to break tables into columns was introduced in LT 2008, a lot of people have wondered how to get the first row(s) to repeat across each column, the way you can in Excel when you print a spreadsheet on multiple pages. The answer is in two pieces -- the cell style and the table properties. 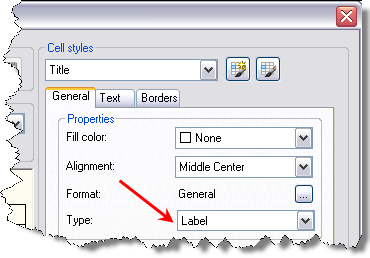 If you want a table row to repeat across columns, you have to make sure that in the Cell styles part of the Table Styles Manager, the Type is set to Label. 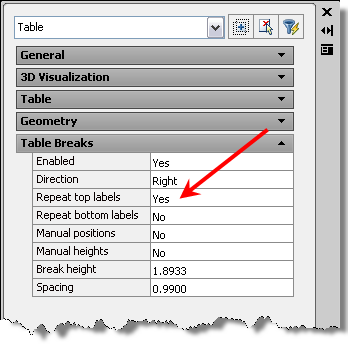 Also, in the properties of the Table itself, the Repeat Top Labels item must be set to Yes. Now you should be able to use the triangular grip at the bottom of the table to break the table into columns, and see the title and header rows repeat in each column. For (many) more tips like this, check out the Annotation webcast tomorrow at 10:00 PDT!